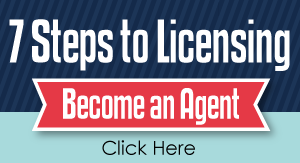 Looking beyond your State Exams and licensing as an agent, first tuesday supports your development as an active agent without further charge. Career Manual Your practice built on "Who you are"
get 10% off with code: "FIRSTTUESDAY"
CRES Insurance Services, has affiliated with first tuesday to offer our members a $75.00 discount on the issuance an E&O Policy, by members using the code: "FIRST". Errors & Omissions insurance is designed to cover the costs of defending yourself against legal action and paying settlements or judgments that may be issued against you.